Add a contemporary style to your home by introducing this magnificent Kensington Townhouse Iron Pendant Light. This pendant light has a beautiful design which takes four lamps positioned to the centre of the pendant, each light having a neutral coloured fabric shade to make it look very homely. 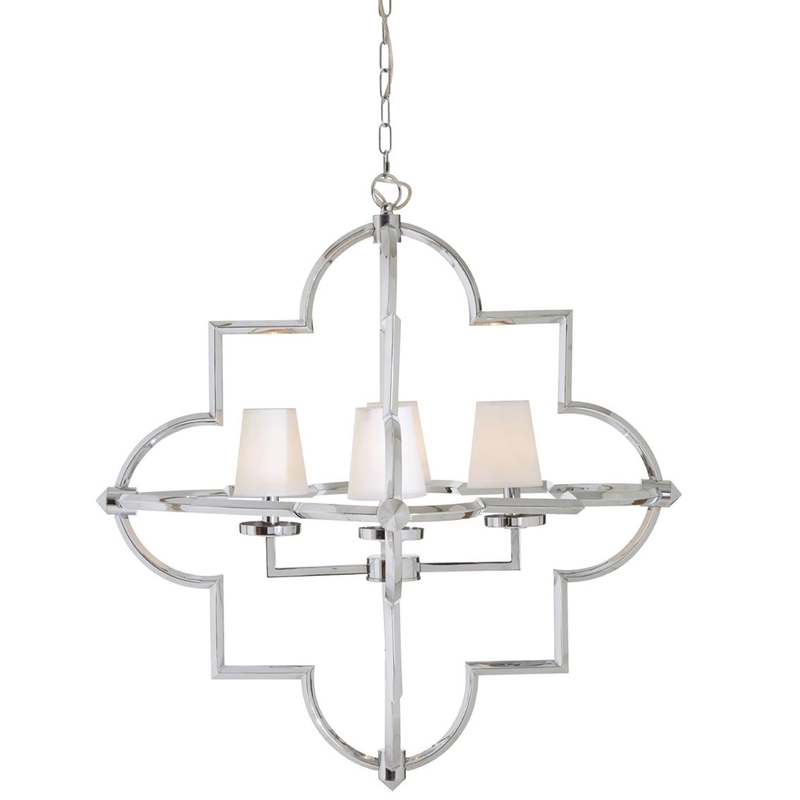 These lights are then surrounded by a iron frame with a chrome finish.